New to improv? Or maybe you’re a seasoned veteran who wants to get some reps in? 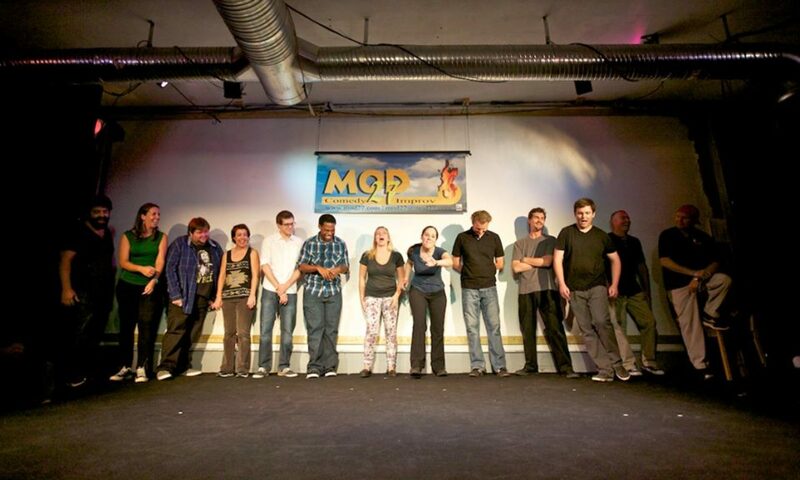 Whatever the case, Mod 27’s drop-in improv classes have your fix. These improv classes will give you an introductory taste into the Mod 27 style and are taught by the best instructors South Florida has to offer. Our drop-in improv classes meet every Tuesday and are set in a low pressure environment. Lessons will be vary from week to week but every class will be filled with fun, laughter, and knowledge. Class size is limited to 15. Register online if you want a guaranteed place. Duration and Time: Tuesdays 7:00 PM – 9:00 PM. We ask that you arrive 15 minutes early. About the Instructor: The drop-in improv classes will be taught by a rotation of Mod 27’s performers. *Online advanced purchase. Advanced purchases do not expire. $20 day of event.